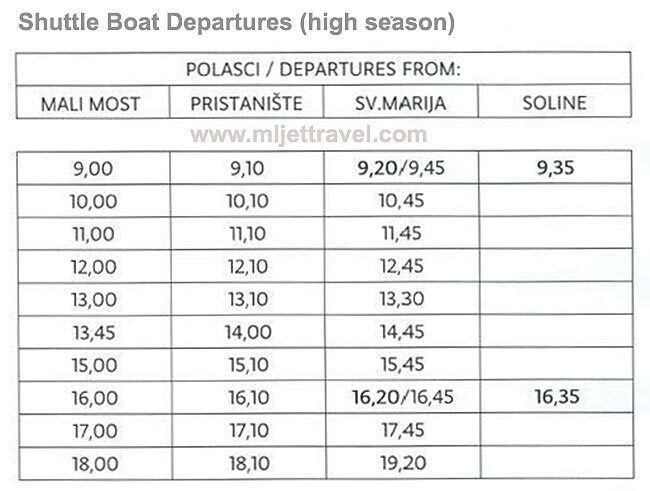 It’s easy to get to St Mary’s island (Sveta Marija) – just take one of the boats leaving once an hour in summer (less often in the rest of the year) from Pristaniste, Mali Most or from Soline. 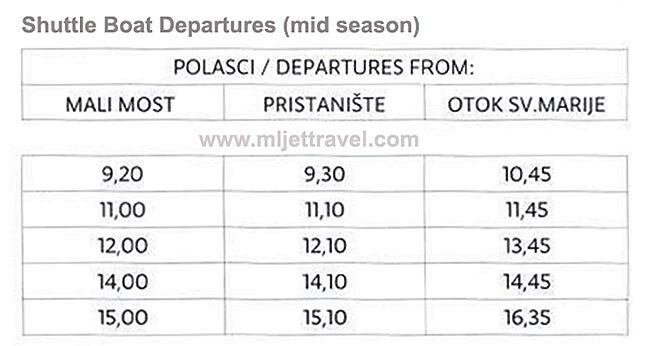 The trip lasts 25 minutes and cost 30 Kuna (about 4 euro). Alternately, you can rent a sea kayak or small rowing boat and easily paddle there in about 40 minutes. As the whole kayak journey is along the sheltered lake/s, it is very safe and enjoyable. The alternative is to rent a bike and cycle to the point nearest to the islet. From there, the skipper from the islet will come to pick you up by a small boat (see video). See video of the small ferry boat that takes you to the Islet.